Travel: Who Will Look After the Dog While You’re Away? It’s summer! For many of us, that means it is time to travel. It is the perfect time to wander the earth and make new discoveries, time to visit family and make memories. All we need to do is pack our bags and go. Easy, right? But, what do we do about our pets? Who will take care of the dog while we are gone? Should we use a dog boarding service or hire a pet sitter? What about the veterinarian? What’s the difference? Which is better? For many years, dog owners had few options of pet care when they needed to travel. Usually, the only place to board a dog was with the local veterinarian. The idea was that if something unfortunate should happen the veterinarian would be there to handle the situation. 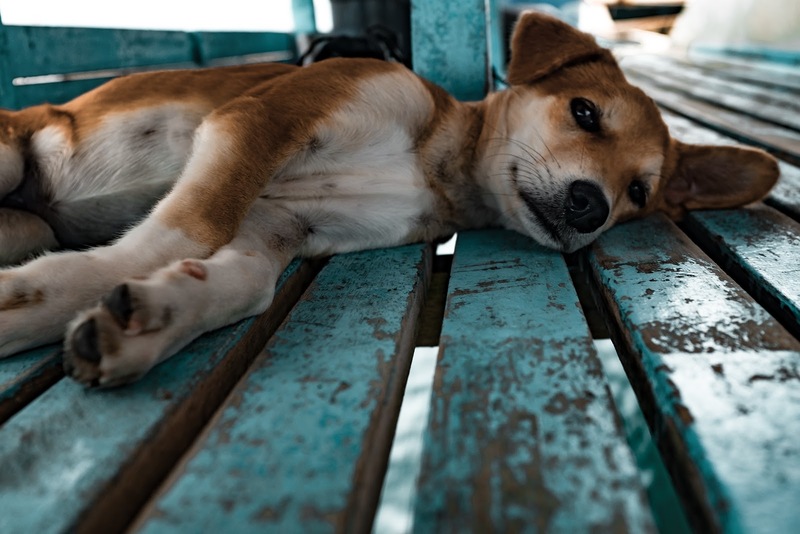 While it is true that the veterinarian could provide needed medical care, typically the doctor and staff do not have time to give boarded animals as much attention. A veterinarian office is designed for medical care, not boarding, which means dogs are usually kept inside locked cages alone for most of each day. If your pet requires constant medical observation, boarding your dog with the veterinarian might be a good option; but for most dog owners, this is not a desirable place for our beloved dog. That leaves professional kennel services and pet sitters as the other two options to consider. Depending on where you live, many areas have both types of services available. That does not mean that both services are suitable for your dog, though. Both services have their pros and cons, and every dog has its own temperament and personality that you should consider before you choose who will care for your best friend. Is your dog very social or do they usually prefer to be alone? Will they play well with other dogs? Will they mind the noises of a boarding environment? Does your dog need frequent attention? How does your dog behave during the night? How does your dog behave when their alone? Do they have a lot of energy or are they usually calm? Are they fearful in a foreign environment? Does your dog have any physical limitations? Your answers to these questions will help determine the best place for your dog while you travel. Some dogs do well with a kennel service and some are more suitable for a pet sitter. So, what is the difference between the two? A dog sitter is someone you hire to either visit your dog several times a day or they will stay at your house twenty-four hours a day. The sitter’s job is to provide food and water to your dog as many times as you request and to take your dog outside to go to the bathroom. Some pet sitters will take the time to play with your dog, but many do not. Many professional pet sitters have a large number of houses to visit each day, so they do not typically have much time to play. If your pet sitter is a family friend, they might have a more personal bond with your pet so they may play with your dog, but there is no guarantee. Finding a pet sitter who is willing to stay full-time at your house while you are gone is hard to do. Though a live-in sitter will help to make the appearance that someone is home and everything is normal, most people are not comfortable living in someone else’s house for long periods of time. This means that you might have to provide some kind of compensation to convince someone to care for your dog. A kennel service used to mean you drop your dog off with people you do not know in a place your dog has never seen and they put your dog in a steel cage on a cold, concrete floor for most of each day you are gone. It was a very depressing and lonely place, and many dogs did not handle the psychological impact very well. Thankfully, kennels are no longer like this. Today, kennels are more like taking your dog to a luxury hotel or day spa. Dogs are frequently taken outside to play and socialise with other dogs. They often run together, but they might also go swimming in the pool. When social time is over, your dog might enjoy a nice bath and massage followed by some quiet time in front of the doggie television. After an evening meal, your dog might enjoy chewing on a peanut butter-filled rubber toy or a visiting with one of the kennel staff for some one-on-one play. Despite the luxury lifestyle your dog will enjoy in a kennel, typically the staff only have so much time to spend with your dog. Most of the time, your dog will still be alone until it is time for the next scheduled outside play session. Dogs who like being left alone might do well with this arrangement, but most would rather have a more home-like setting if given the choice. And, because your dog is exposed to a large group of unknown dogs, there is a greater risk of your dog becoming ill during his stay. Vomiting and diarrhoea are common ailments caused by the stress of staying in a kennel. If your dog is easily stressed, the risk is even greater. While many kennels are places of business, some people provide boarding services in their home. This gives your dog a home-away-from-home type of environment, which is a great reason to choose an in-home dog boarding service. Individual Attention- Because your dog is living in someone’s home, they will receive more individualised attention and care twenty-four hours a day. This is especially important if your dog tends to be the nervous or destructive kind, or suffers easily from separation anxiety. The boarder will take the time to get to know your dog and develop a friendly relationship so that your dog feels relaxed and happy. Small Groups- Often, the number of dogs taken in at any one time is limited to less than a hand full so that each dog receives the proper attention. This is a good option if your dog does not enjoy large groups or tends to become anxious easily. They Are Not Weather Dependent- Another bonus is that your boarder is not subject to weather changes. If unpleasant weather passes through your area you won’t need to worry about whether your pet sitter can safely make it to your house to care for your dog. A boarder can provide constant care and comfort so your dog feels more secure. Extra Exercise- There is also more opportunity for your dog to get the proper amount of daily exercise in addition to adequate food and water. Your dog is more likely to be outside walking, running, and playing for longer lengths of time than at a kennel. With your permission, the boarder might even take your dog to a local dog park for a refreshing change of scenery and more socialisation. Puppies Love Them- Young dogs typically require a lot of extra attention, so they tend to do well with boarders. Boarders will make sure that your puppy receives the extra potty breaks and play time necessary to satisfy their needs for extra stimulation and reassurance while you are gone. Affordability- What is really great about boarders is that they do not usually cost much more than kennel services. Though each boarder’s pricing may vary widely depending on the level of service you have requested, most dog owners are more than happy to pay the extra fees if it means their dog will receive more individual attention. Providing food and shelter may not be the only services your boarder offer. Before you choose a boarder, ask if he or she has a license and training experience in any other areas of canine care. If you happen to be based around the North-West England area, or you are able to travel to use the best boarding services there are, then you should look here as this company happily provides extra services like dog training and willingly devotes their time to care for your dog in a comfortable, calm environment your dog will enjoy whilst you’re away travelling. Grooming– Many boarders have been trained how to groom dogs. Their basic services will likely include a bath and a brushing. They might also cut your dog’s hair, clip the nails, and clean the ears. Obedience Training– If your dog is difficult to control and will not respond to your commands, ask your boarder if obedience training is available. Obedience training focuses on teaching your dog the seven basic commands: sit, stay, come, no, off, heel, down. It is not the same as behavior training, which focuses on good doggy manners. A good obedience trainer will use positive reinforcement to teach your dog to follow your commands. A common method of positive training is by using a clicker. The trainer presses the clicker whenever your dog correctly follows the command and follows up with a treat as a reward. With this method, there is no punishment, only rewards for a job well done. Most dogs respond well to the clicker-treat method. It is easy for them to understand, it boosts their confidence in their abilities, and it strengthens the bond with their owners because there is more fun time and fewer punishments. Usually, dogs learn the commands quickly with the clicker-treat method. Your dog should be able to learn most of them during their time with the boarder. Behavior Modification Training– From suffering the negative effects of frequent changes to their home to trauma from past mistreatment by previous owners, dogs can have a variety of reasons for their destructive, annoying behaviours, and general bad manners. Regardless of the reason, dogs who do not know how to behave properly can cause stress for your entire family and affect your neighbours. If your dog suffers from separation anxiety, aggression, excessive barking, incontinence, or any destructive behaviours, a boarder licensed in behavioural therapy can begin training your dog how to handle stress more appropriately while they are in the boarder’s care. Usually, a trainer will want to work in your home, but your boarder might be willing to begin with some simple behaviour modifications to help establish the limits of acceptable behaviour so that when you get home the next steps will be quickly implemented. If your dog receives either obedience or behaviour modification training from a boarder, as the owner, you should also expect training after you get home. It is important for you to know how to handle and enforce the new behaviours your dog has learned after you get home. Transportation– Some boarders will collect and drop-off your dog for you. This is a big help if you are short on time to take your dog to the boarder’s home yourself. Ask your boarder if they provide this service before you make a reservation. It could mean the difference of whether you catch your plane or not. Any extra services that a boarder would offer will cost an additional fee to the boarding fee. Ask your boarder what he or she charges as well as about their experience and credentials to find out if your dog is a suitable match for them and if it will fit into your budget. Many boarders do not mind administering prescribed medication, or even vitamins, to your dog as long as it is an oral medication such as a pill or tablet. Most boarders will not administer any medication that is meant to be injected. If your dog requires an injectable medication, talk to the boarder ahead of time to see if they would be willing to take your dog to your veterinarian for an extra fee. If not, talk to your veterinarian about their kennel services so your dog can receive its medication. Although everyone’s situation is different, boarding your dog with a professional in-home dog boarder is overall the best way to go. A boarder can provide the extra attention and care your dog needs in a loving, comfortable environment you can trust whilst you travel. Plus, many boarders can provide one-on-one training and grooming services. Your dog is your best friend. You want them to be safe, healthy, and loved when they are in someone’s care. A boarding service you know and trust is the key to ensure that care so when you return your dog will be happy and so will you. Do you have a dog? Do you travel? What are your dog boarding tips?